UNITED National Independence Party (UNIP) presidential running mate Njekwa Anamela says it is worrying that even when voting in the general elections and the referendum is around the corner, there are still people who do not know what the referendum is all about. differentiate between the referendum from the general election. Addressing a rally in Livingstone’s Namatama grounds on Monday afternoon, Mr Anamela urged the people of Livingstone to vote ‘YES’ in the referendum because the Bill of Rights empowers citizens. “We think these rights are important and we are in the ‘YES’ campaign as UNIP. 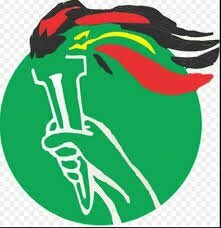 The Bill of Right has nothing to do with PF or UPND giving power to the people because these are people’s powers. These are the rights that people demand from the Government and UNIP supports that,” he said. Mr Anamela told the crowd that everywhere UNIP had gone, people were complaining of the high levels of unemployment and poverty. He raised concerns that the nation was increasingly divided by tribal politics which he said the country was seeing during the campaigns.